Everyone wants to be that person that never gets sick. The one at the office who somehow skips out on the plague that’s traveling from cubicle to cubicle, or the one that doesn’t come down with a cold even when their entire family falls victim. How do they do it? The idea of being able to do certain activities or eat something specific to boost your immune system such that you can become an illness-fighting ninja sounds incredibly enticing. But unfortunately, it’s not exactly how the immune system works. Our bodies’ immune systems are broken down into two different categories, innate and adaptive. The former is made up of non-specific proteins and cells that come to action in any type of injury or illness, even a scrape to the leg. But the latter—the adaptive immune system—is far more specific. When you get a cold or the flu, cells within your adaptive immune system rush out to identify exactly what that sickness is. Once they do, they cleverly design immune cells to find and kill that infection. Your innate and adaptive immune system both need the right types of cells in the right quantities to work properly. If you want to give yourself a fighting chance, figuring out the best way to maintain the right number of immune cells is key. How do you do that? 1. What are the most common causes of weakened immune system? 2. How do we keep our immune system act quickly and effectively? 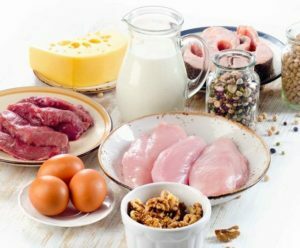 Here are some suggestions: Proper amount and quality of sleep Well-balanced diet, but especially having enough protein and zinc vaccines. 3. According to WHO, vaccines are necessary in stopping infectious diseases. However there are some questions raised about the safety of vaccines. What do you do to avoid viruses like influenza?